Tana Ramsay is a British author and TV personality. She is also known as the wife of celebrity chef Gordon Ramsay. As a TV personality, she has appeared in the shows ‘Market Kitchen’, ‘MasterChef’ and ‘Dancing on Ice’ to name a few. Ramsay is also a former schoolteacher. Despite her TV and writing credits, she is best known in the media for being a celebrity wife. A doting wife and a mother of four, Ramsay is a very strong, ambitious, and bold lady. She is a classy woman who is admired for her fashion sense. Even though she is the wife of a celebrity, she is a down-to-earth personality. Currently, she is active on social media and often features on her husband Gordon’s social media posts. Her husband keeps on showcasing his love for his wife through his posts that include captions about her beauty and their life together. What is Tana Ramsay famous for? A British Author and TV Broadcaster. Being the wife of Gordon Ramsay, a British chef, restaurateur, and TV personality. Is Tana Ramsay birth her fifth baby boy in the age of 44? Gordon Ramsay took to Instagram on Thursday to share adorable pictures of the newest addition to his family. "After 3 Baftas and one Emmy . . . finally, we have won an Oscar, please welcome Oscar James Ramsay, who touched down at 12:58 today for some lunch!" the celebrity chef captioned his post. The cute newborn already has his own Instagram account – created by mom and dad – boasting more than 17 000 followers, E Online reports. On New Year’s Day, the couple, who wed in 1996, announced that they were expecting again, more than two years after Tana miscarried five months into her pregnancy. The pair recruited the help of their children, Matilda (17), twins Holly and Jack (19) and Megan (20), to help them break the news on social media. Each of the kids wished their followers a happy New Year before their mom revealed her noticeable baby bump, People reports. “Happy New Year! Oh, and a little news,” Tana captioned her post. The announcement came just a few days after the pair celebrated their 22nd wedding anniversary in December. Where is Tana Ramsay grew up? Back to her early life, Tana was born as Cayetana Elizabeth Hutcheson in Croydon, London, England and raised on a farm in Kent. Her nationality is British and belongs to English ethnicity. Talking about her parents, Her father name, Chris Hutcheson and mother name, Greta Hutcheson. His father is a businessman who initially assisted with the business operations of her husband’s huge restaurant empire. There is no information available on her education background yet. In the case of revealed, we will let you know. What is the profession of Tana Ramsay? Tana Ramsay first appeared on television in the show ‘Hell's Kitchen.’ In 2010, she appeared as a contestant on ‘Dancing on Ice’ in which she was partnered with professional skater Stuart Widdall. However, she was eliminated in the fourth week. After this, she served as a presenter of a UKTV's food show titled ‘Market Kitchen.’ In 2014, Ramsay made an appearance as a guest judge in the American version of ‘MasterChef’ alongside her husband and celebrity chef Gordon Ramsay. Since 2015, she has starred alongside her daughter on CBBC’s ‘Matilda and the Ramsay Bunch’. 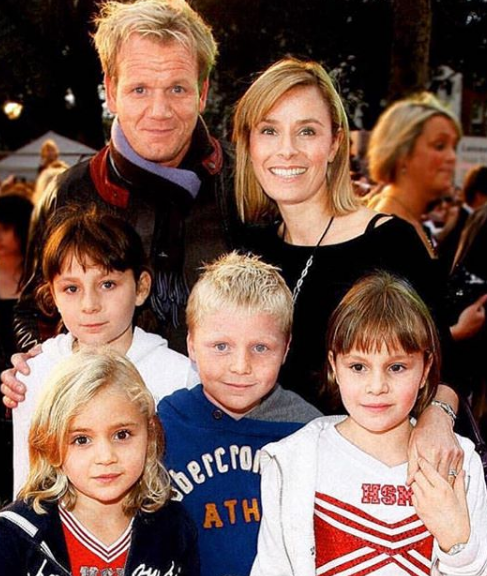 Tana Ramsay has also worked as a Montessori trained educator at one point in her life. During that time, she had trained numerous children with the goal of making them independent by offering them freedom within limits. As a teacher, she focused on the students’ physical, psychological, and social development. In addition, Tana Ramsay is an author who writes on food-related topics. Till date, she has written a number of books, many of which went on to become best-sellers. Who is the husband of Tana Ramsay? 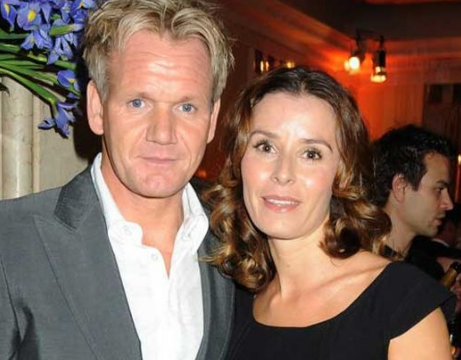 Reflecting her personal life, Tana Ramsay married celebrity chef Gordon Ramsay on 12 December 1996. They live in Wandsworth Common, London. The couple has four children: Megan, Matilda Ramsay, and twins, Jack and Holly. On 13 May 2016, it was announced that the couple was expecting their fifth child, a boy. However, a month later, it was revealed that Tana suffered a miscarriage at five months. According to the latest update, The couple welcomes their fifth children. In 2014, the couple established the Gordon and Tana Ramsay Foundation to help support the Great Ormond Street Hospital Children’s Charity. There are no disputes between the couples they living their marriage life very happily. How much net worth Tana Ramsay accumulate? As an educator, author and TV personality, she must accumulate a lot of money from his profession. However, her salary and net worth were not disclosed in the media yet. In case of the disclose, we will let you know. How tall is Tana Ramsay? Observing her body statistics, She has a height of 5 feet 10 inches and weighs around 62 Kg. Similarly, she has a pair of brown eyes and hair color. Her shoe size is 7 (US) and bra size is 33B. Further, her body measures 34-27-35 inches. She was a Montessori-trained school teacher before becoming the author of books on cookery and a TV broadcaster. Tana grew up in a farmhouse in kent. When she was 16 years old, her family moved to London. In June 2016, she suffered a miscarriage while 5 months pregnant with her and husband Gordon Ramsay's fifth child, a baby boy.